"Vue.js + Stroll.js. 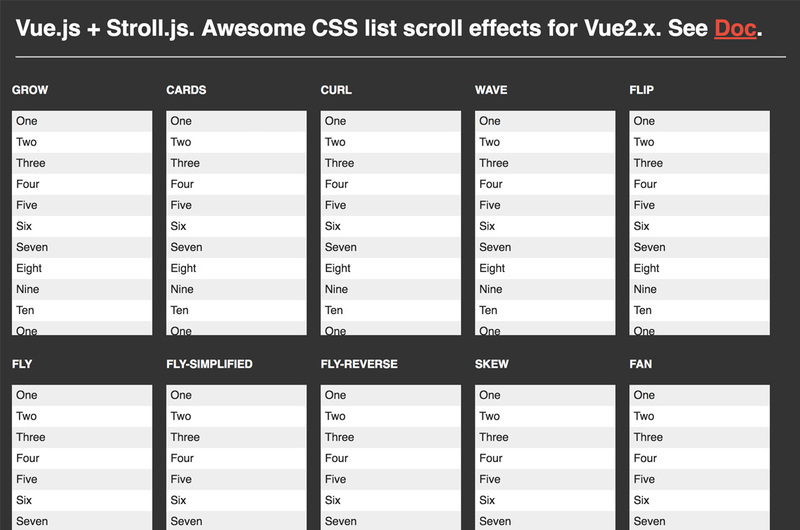 Awesome CSS list scroll effects for Vue2.x." Launch your own rocket and submit your project!